The Cotswold House Hotel, Chipping Campden, kindly supported the Charity with £10 of each ticket sold at a dinner, going to SHN. The evening was a complete sell out! 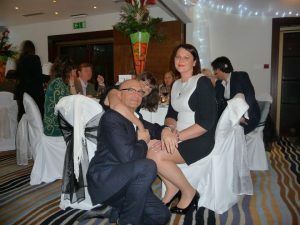 The Cotswold House Hotel, BITE 2013, week, commenced on the Sunday night with Gregg Wallace being present at a superb five course dinner. The raffle, won by John Sargent, raised £445. During… the evening Gregg generously offered to run an Auction, dinner for two with Gregg at the Gavroche, London. This raised the extraordinary amount of £3,000. My thanks to Julia Davies and Arlene Winter for giving so generously to the Charity for this amazing Auction prize. Gregg Wallace was so supportive of the Charity and I am truly grateful to him for generating such terrific funds. The ticket sales raised £600. So in total the successful evening raised £4,045 for SHN, how fantastic!